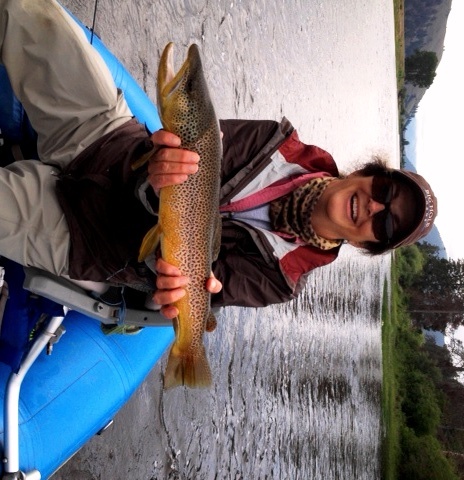 The BHL staff took advantage of a rare day off and shot over to the Rock Creek and Blackfoot for a change of pace. Fellow law student, Zane, assisted Kali with her fish spotting duties from an inner-tube tied to my anchor line. He was in prime position to net all the fish Lanette and Laurie caught. 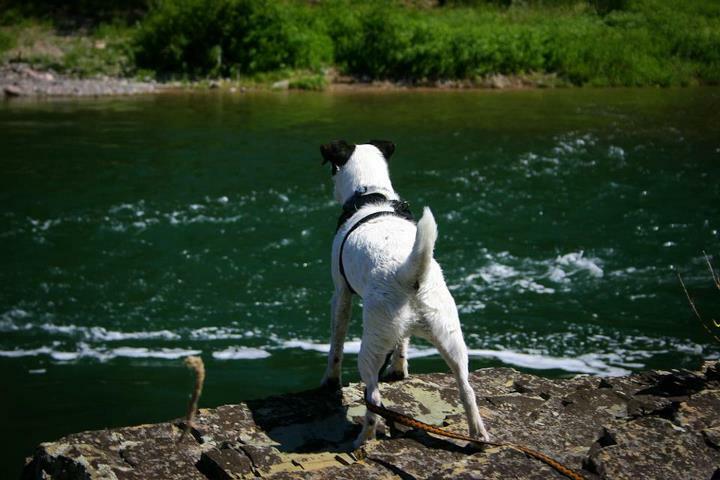 Kali, the chef's Jack Russell, is out spotting fish. 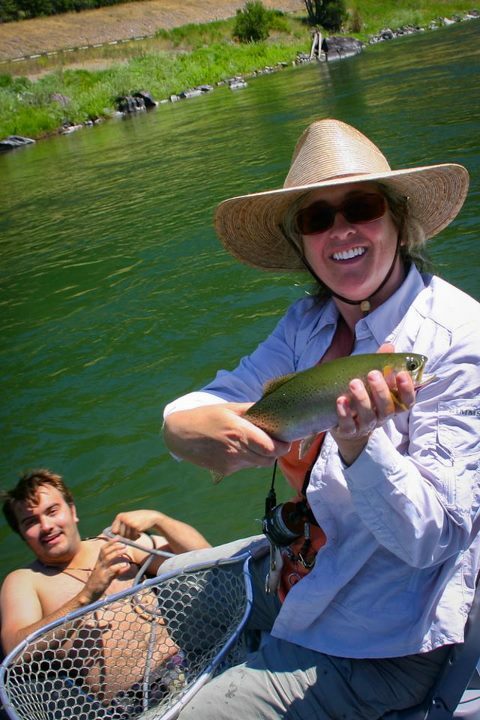 Fly fishing hatches in order of time of day: Tricos, then Yellow Sallies, then Hoppes, Ants & Beetles, then Caddis. There are spruce moths around, especially up the Wise River Valley, but the fish haven't really been on them like they have in years past. How I'd Fish It: Hit it hard in the morning and then get off of the slow pools in the afternoon. The water is warm and the fish are lethargic. Get back out there for the evening Caddis. If the water feels too warm and the fish don't appear to be recovering very quickly, get off the water and wait for it to cool off. 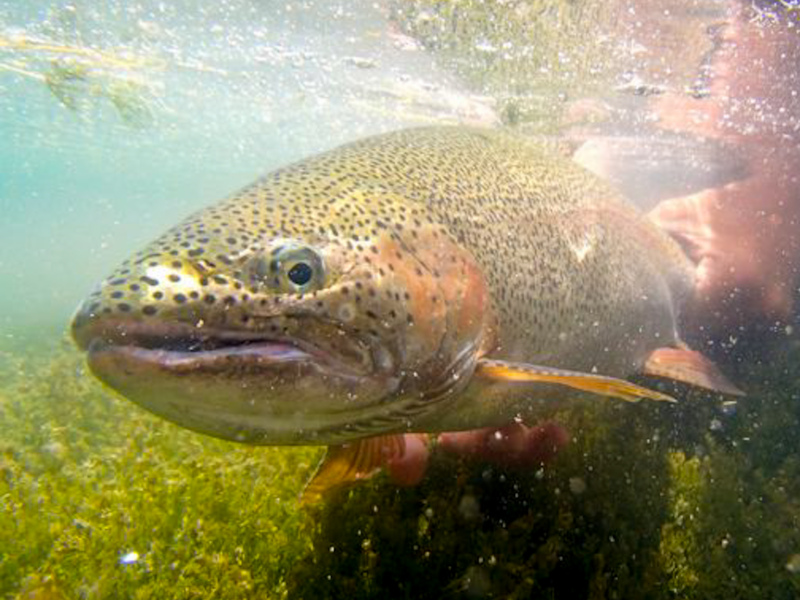 Don't overplay your fish: Get them in, unhook them, (underwater) and let them go! 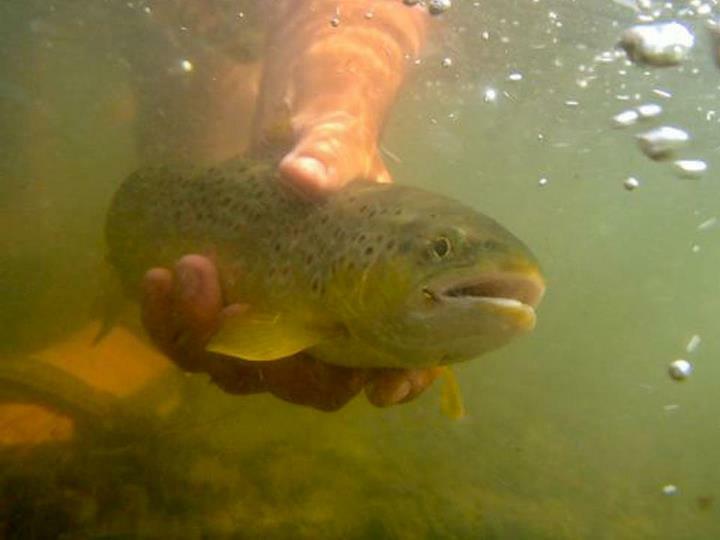 These warm temps are lethal to trout when they are overplayed. If you must have a photo, practice your April Vokey and keep their head under! Please, Revive your fish! Point their heads up stream in slow moving, clean water and move them slowly up-current and back again, allowing water to pour through their gills. You will see their gill plates opening and closing. Do this until the fish swims away from you on its own accord. 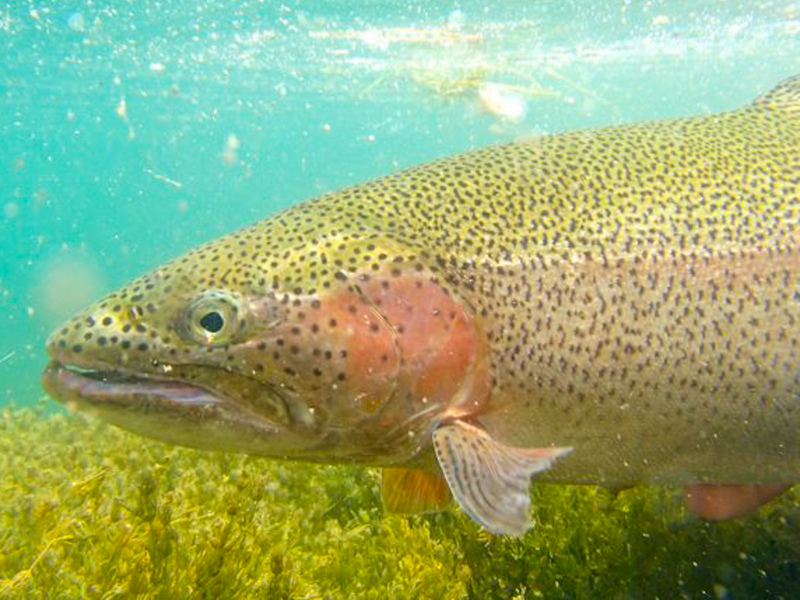 "Throwing" a fish back this time of year will probably kill the fish. It may swim off, but it will belly up and die soon after without proper revival. 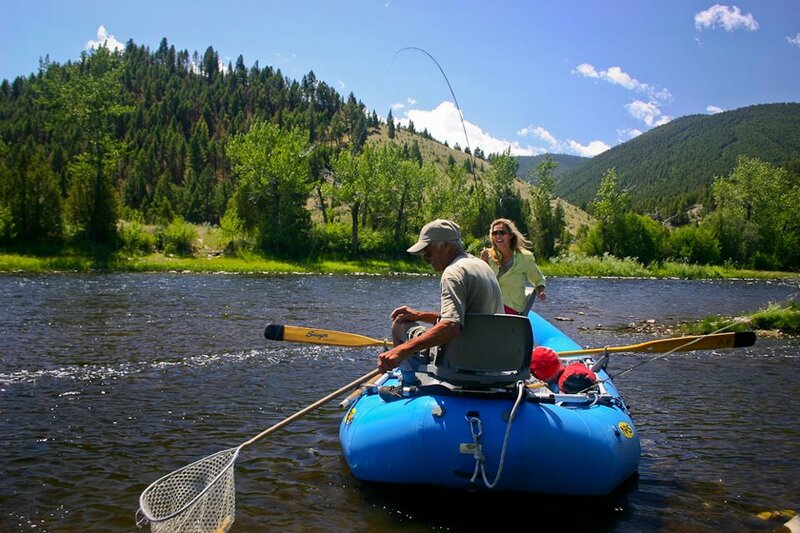 The Beaverhead is fishing GREAT, the Clarkfork is fishing well, and Rock Creek is fishing well. 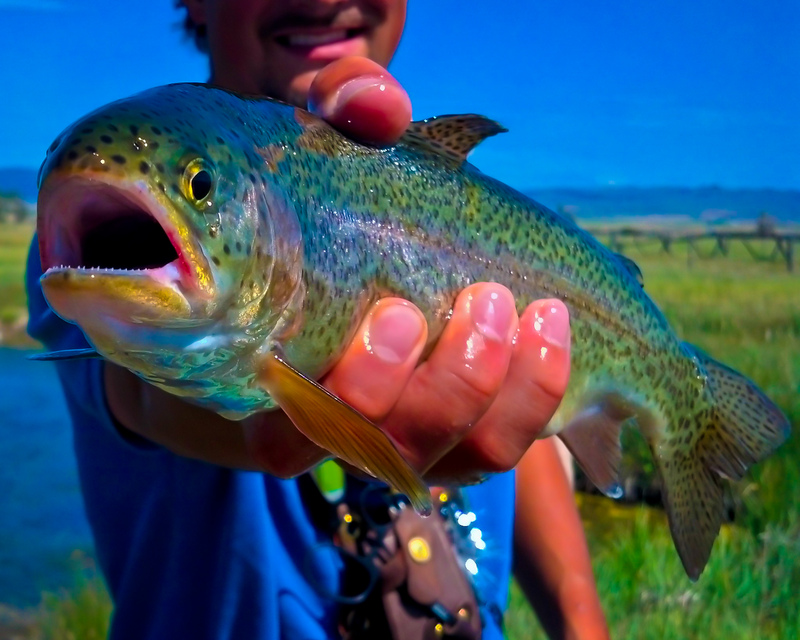 BHL's spring creek options are full of hoppers as well, so get out here!! 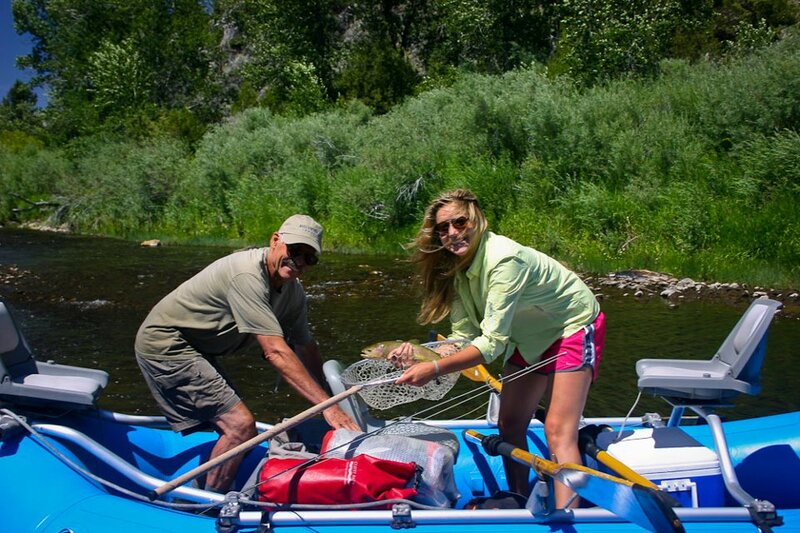 We’re so excited about the new Helios 2 fly rod that we couldn’t wait to spring the preview video on the world. The video will be released to the public today, and it doesn’t tell you much about specifics on the rods, so we thought we’d fill you in on some of the details. The new Orvis Helios 2 rods are as light in hand as the original Helios (the lightest fly rods in the world), but with greatly improved tapers that reduce the swing weight. Precision casting has been improved with refined tapers and increased damping. The rods are stronger that the original Helios, and also have double the impact strength in the tips. 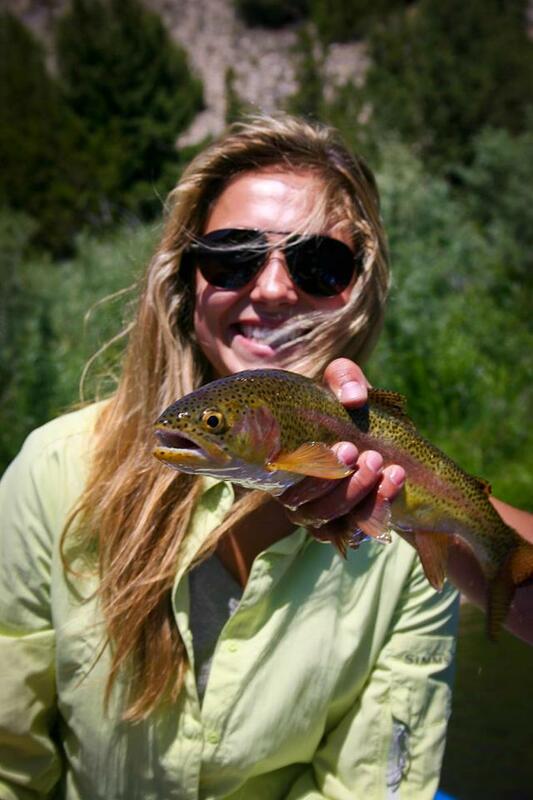 Helios 2 rods are still 100% made in USA in the Orvis Rod Shop in Manchester,Vermont. What our testers have been raving about is how smooth these rods are in casting, and how accurate the rods are. 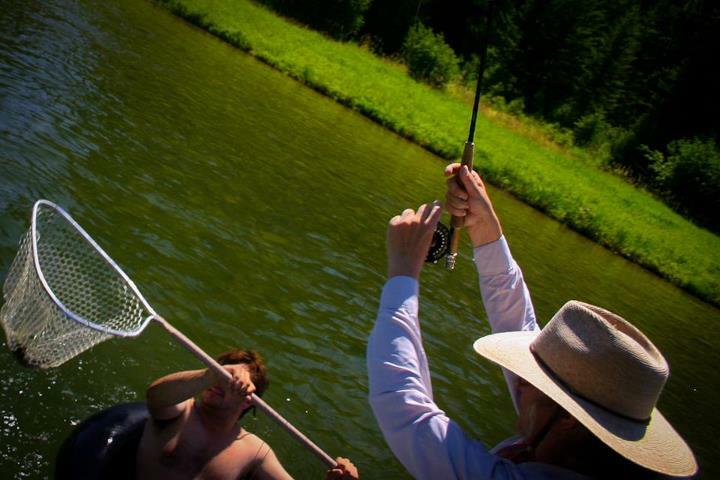 For us, that’s the name of the game—if a rod is a delight to cast and it gets your fly exactly where you want it, fishing is just plain fun. Helios 2 reel seats feature nickel-plated aluminum, which is harder and more abrasion- resistant than anodized aluminum. The freshwater configuration uses a gorgeous California buckeye burl insert and the saltwater versions have a woven carbon insert. All rods utilize Recoil guides for reduced weight and better line shooting. To order, call us today! BBQ dinner tickets are $25 each and are on sale now. Purchase your ticket early as we sold out last year. Auction items include Harvey Eckert artwork, Monte Dolack artwork, 2-night stay at Sportsman Motel, artwork, jewelry, Salvestrin wine, local arts and crafts and more. Roasted pork dinner with all the trimmings courtesy of Ray Weaver and Hitchin' Post Restaurant. BBQ dinner ticket $25 each. Purchase by July 15th. After the 15th, tickets will be $30. I would like to attend the dinner: Please call (866) 533-2473 no later than 5 PM, Friday July 20th to order by phone. Tickets can also be purchased at the event on Saturday, July 21st. 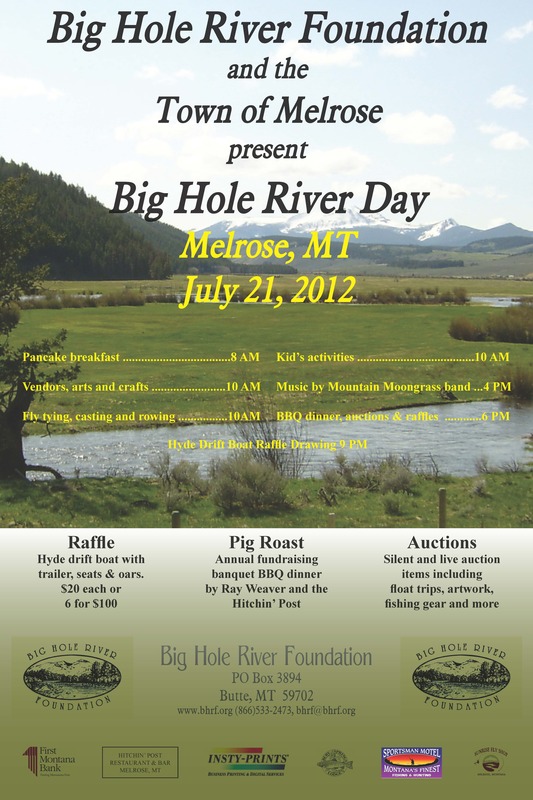 Tickets are available in Butte at RD's Travel Stop, Bugs & Bullets, Fran Johnsons, StoneFly Fly Shop, and Three Bears. 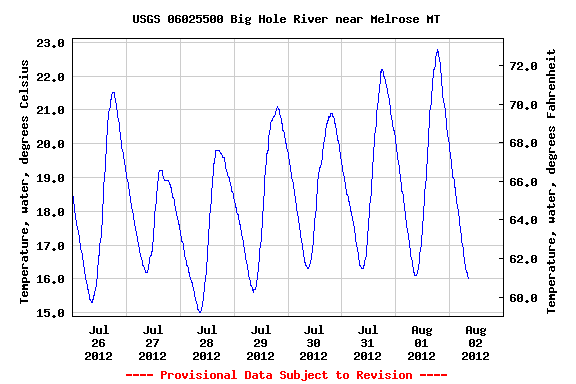 In Melrose/Divide at Great Divide Sports Shop, Sportsman Motel, Sunrise Fly Shop, and Hitchin' Post. 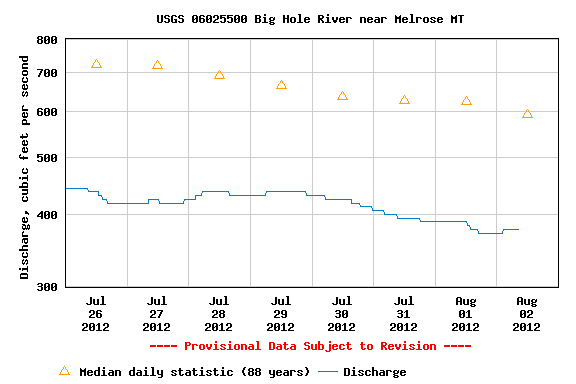 In Wise River and Divide at Wise River Club, Dewey Bar and Wise River Merchantile. 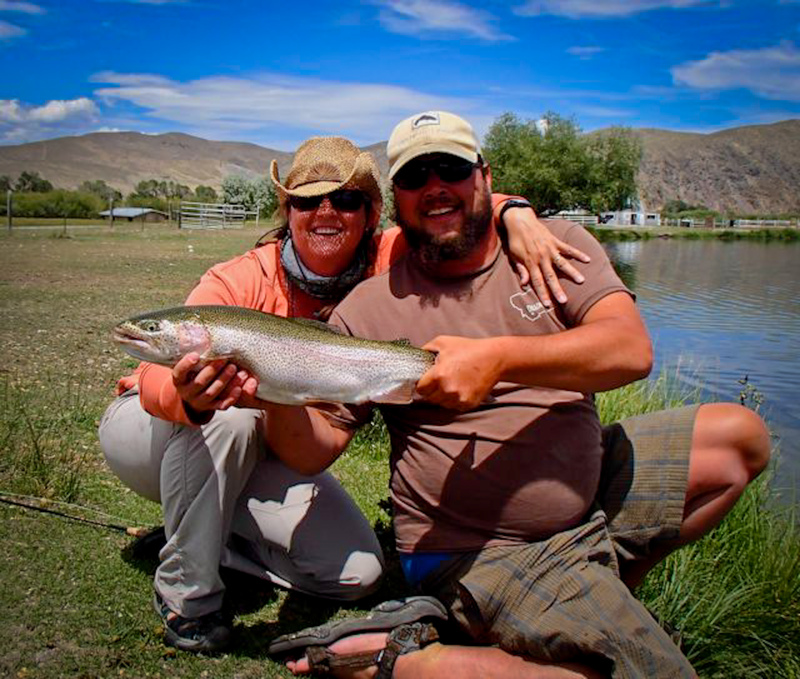 In Dillon at Frontier Anglers. In Twin/Sheridan at Four River Fishing Company. 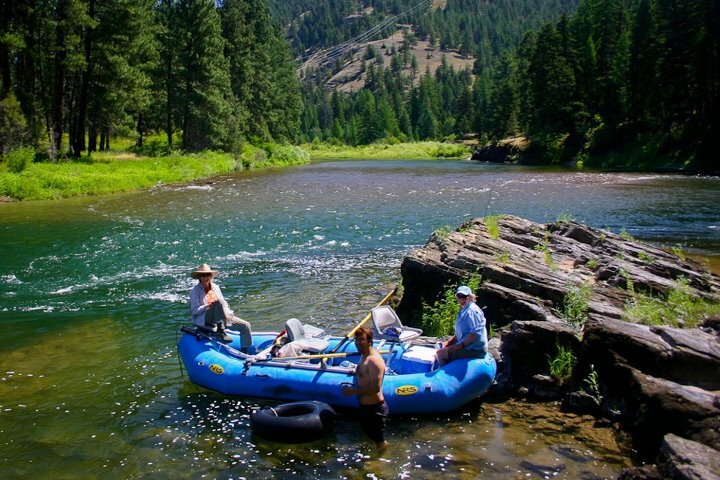 The 2012 Big Hole River Foundation raffle is here! This year our grand prize is a Hyde "Rocky Mountain Skiff" drift boat that comes ready to fish with trailer, 3 seats, oars, anchor system, storage boxes and knee braces. This boat is valued at over $8,700. Please contact us at (866)533-2473 to order your raffle tickets. Drawing will take place at our fundraising dinner on July 21, 2012 in Melrose. Need not be present to win. Wowzer! Quality Fish from a Quality Chick! 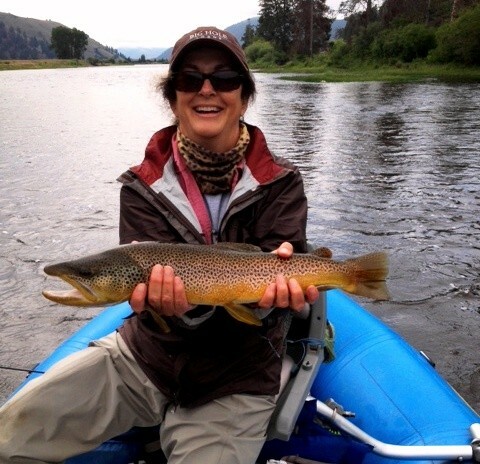 Cathy, of the Quality Chicks, put this 24" bruiser in the boat right out of the gate with Chuck Page on Monday, despite rising river conditions, drizzling rain, and cold temperatures the night before. Great Fish!